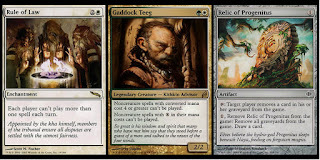 My last article covered a lot of goal setting, specifically where to start when you’re about to jump into a format like Modern but you’re on a budget. Today we're continuing that thought process, but moving from the broader goal setting to the actual decisions we make about cards. Which ones should I buy first? Which ones are the safest investments? When might my budget option actually be better than what's most commonly played? When you’re purchasing cards for a nonrotating format, there are a lot of things to consider. If budget isn’t a concern, the only three questions that matter are: Does this card help me execute my game plan? Does this card adequately disrupt the game plan of my opponent? Is there another card that accomplishes the same goal in a better way? These three questions are crucial for deck building, and if you’re just building a list that someone else posted, much of this has already been answered for you. Is this a card I can reuse if I switch decks? Some cards are incredibly narrow, and are only used in niche strategies. Others are very broad, and are used across several archetypes. 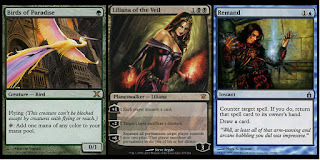 It is worth considering whether a given card will still be useful to you later if you decide to switch decks later on. (see Format Staples below for more) Being able to reuse a card later doesn't change its actual price tag, but it does affect how much value we will get out of the card as we continue using it over time. Is this a card that is likely to retain its value? Cards that were recently printed and are either greatly hyped at release or just made a big splash in standard are going to be expensive. However, only a handful of these will stay expensive once the hype dies down and/or they’ve rotated out of standard. It sure feels bad when you invest 80+ tix in a playset of cards only to see their value fall dramatically within a month or two. 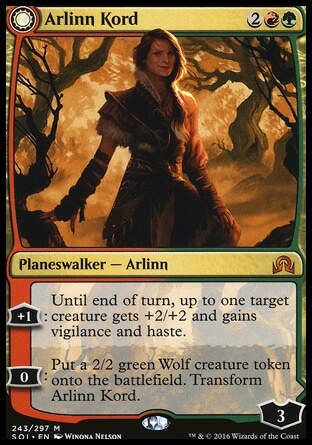 For example, I was really excited about Arlinn Kord when it was spoiled, and I purchased a few as soon as they were released. Now I can get a playset for less than what I originally paid for just one. It can be difficult to predict how valuable a card will be over time, but it’s worth keeping in mind. A card that is still standard legal is likely to fluctuate a lot more than a card that has been in print for quite some time. Is there a cheaper alternative that I can play now while I save up to buy this later? Many chase cards have slightly less powerful versions that are much less expensive. Need a Blood Moon effect but don’t have $80 for a playset? You could get four Magus of the Moon for $32 instead, and some decks play eight moon effects anyway, so they might not be useless even after you've saved up for the real deal. 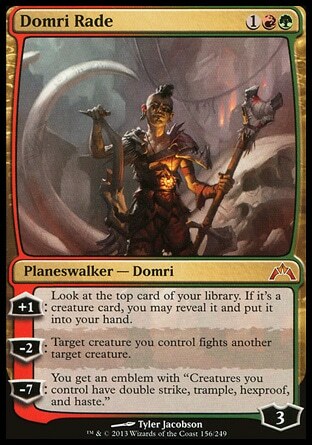 A better example is probably Avacyn’s Pilgrim . It’s clearly worse than Noble Hierarch , but you can pick up a playset for less than a dime while you save up for those $20+ Noble Hierarchs. This might sound obvious, but it’s important to note just in case. 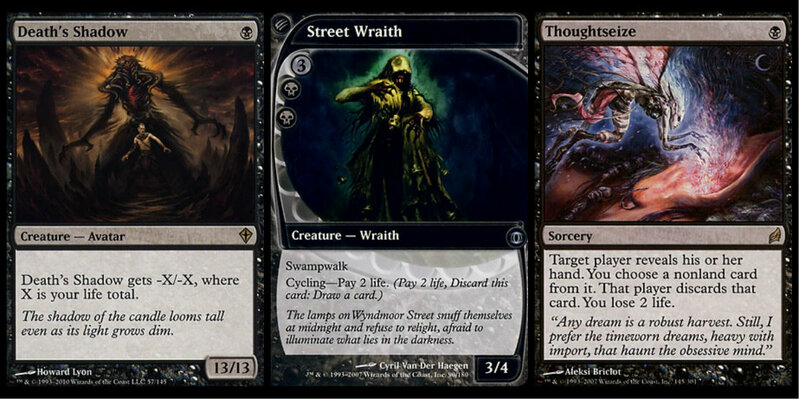 If your ultimate goal is to build a Death’s Shadow deck, there is absolutely no point spending money on cards that reduce your own life total if you don’t have the payoff card for that strategy. Buy those Death's Shadows first. Similarly, if you’re planning to play Troll Worship, buy a playset of Worship and some hexproof cards before you do anything else. 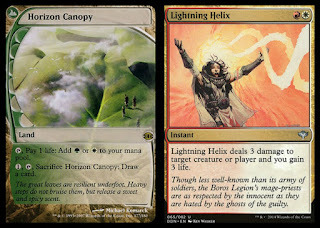 There are rare and mythic cards out there that you can get for less than ten cents. I’m going to go out on a limb here and say that every single one of them falls into one of these categories: unplayable, playable only in niche strategies, or so over-printed that everybody has a few already. For budget lists, this is our gold mine. There are a lot of powerful cards out there that just aren’t heavily played - maybe it’s because the strategy they promote has a terrible matchup against a top deck, or maybe a card has since been printed that is strictly better. That doesn’t make these cards invalid, but it does mean that their prices plummet. If your deck does include any cards that fall into this category, pick them up immediately. Their prices probably won't ever go up, but they can't go down either, so these are the safest purchases you can make. 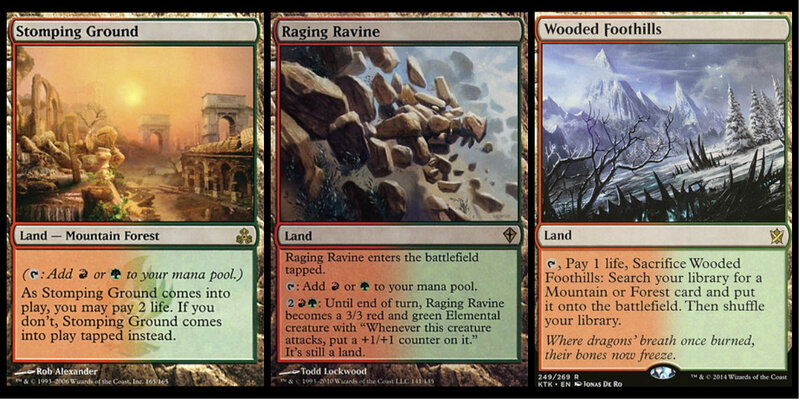 In a format like Modern, a significant cost of building almost any deck is the mana base. 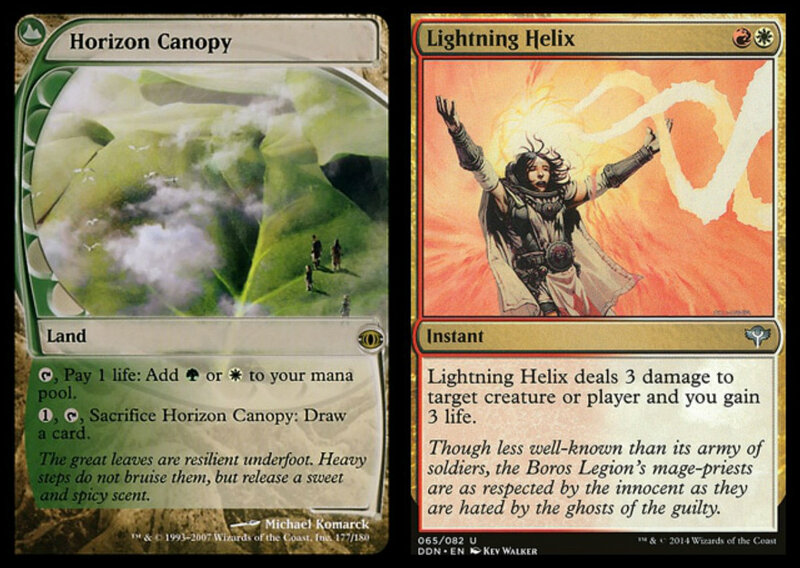 For single color decks the cost is significantly less, but very few mono-X decks are considered viable. In fact, we might be down to just Merfolk , since even burn splashes for something nowadays (Atarka’s Command , Boros Charm , Bump in the Night , etc.). Pay attention to some of the budget alternatives out there. Sure, a fetch- and shock-land manabase is going to be very efficient, but it's also incredibly expensive. 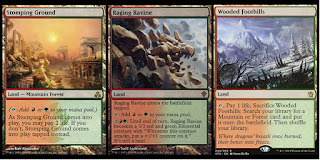 Those M10 checklands and Ice Age-style painlands are still cheap in comparison, and are quite effective. 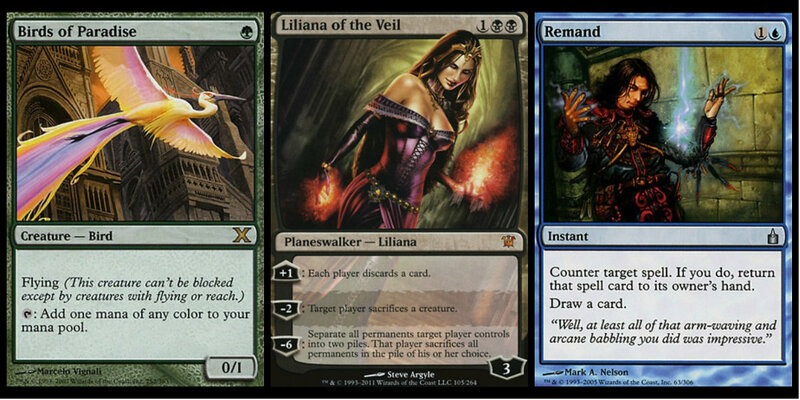 These are the cards that you answered “yes” to the, “Can I reuse this later?” question above. 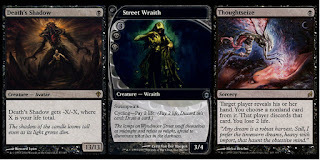 Cards like Path to Exile are played in almost every deck that plays white, even when they’re relegated to the sideboard. The same could be said for Thoughtseize in black decks, Lightning Bolt in red decks, plus Tarmogoyf , Snapcaster Mage , and others. These cards are almost as safe to invest in as the lands. They have proven their usefulness, and are highly unlikely to lose value over time. Prices fluctuate, of course, but the power level and flexibility of these cards is unlikely to be challenged with a new card that is better. 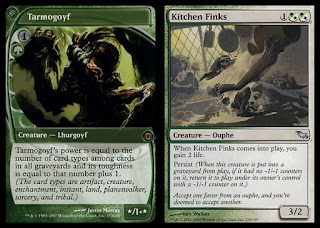 Most of these are also utility cards, so they are not oppressive enough to be considered for bannings. The best part, though, is that you can switch decks and they'll still be useful. 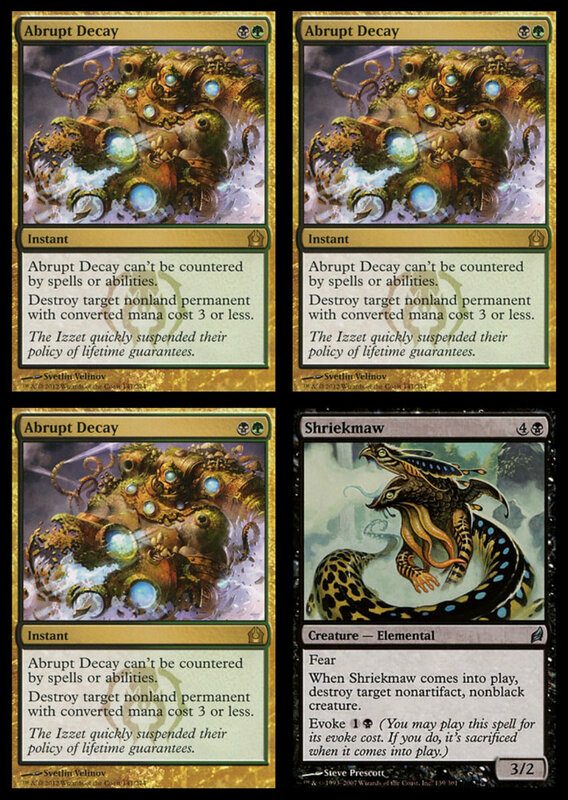 If you decide to start out with Soul Sisters, switch to Death & Taxes after a few months, then switch over to Kiki Chord, and finally settle on Abzan after a few years, you will have more than gotten your money’s worth out of that playset of Path to Exile you purchased at the beginning of the journey. The same can't be said for Serra Ascendant , which will have been in the trade binder so long by that point that you probably forgot you purchased any. There are a few sideboard cards that are absolute hosers against certain archetypes, and these can be vital for your long-term success in the format. 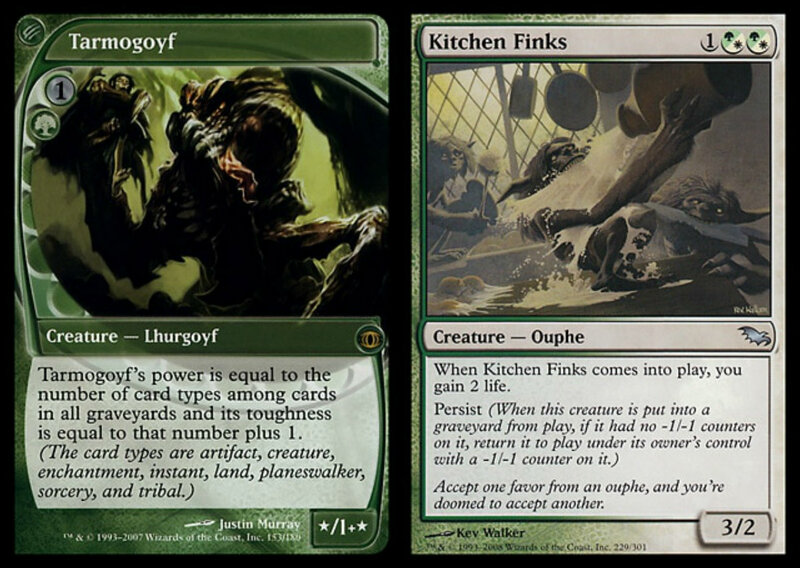 Also incredibly important are those sideboard cards that are handy catch-alls for decks you might not otherwise have answers for. Rest in Peace and Shatterstorm fall into that first category, doing heavy lifting against graveyard strategies and affinity/robots respectively. The latter category includes cards like Engineered Explosives and Maelstrom Pulse , which can answer lots of cards that might otherwise have caught you off guard. If it doesn’t fall into one of the above categories, it comes last. Maybe it’s a card that's a nod to the metagame as it stands, or maybe it’s one of eight removal spells that could be something else. Maybe it’s a card that isn’t absolutely necessary, but that slightly improves your win percentage in those long grindy games. Whatever it is, you’ll probably want to purchase it last. This could be an article of its own, but since I said in my last one that I’d touch on this topic, I’m going to dip my toe in the water. The process of growing your budget list into a competitive deck requires a lot of thought, card evaluation, and playing with cards that are a little off the beaten path. While much of this process involves playing inferior cards and then setting them aside when you can afford the better ones, you might find hidden gem that nobody else has noticed. The issue, of course, is that you’re playing on a budget, so you don’t have the resources to purchase extra cards just to try them out and be innovative. It might seem counterproductive when you're on a tight budget to spend money on a card that might turn out to be absolute poopy. 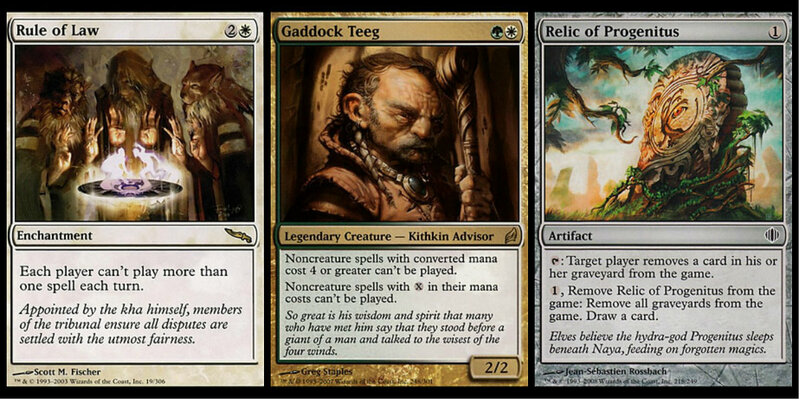 The upside, though, is that these innovations can actually provide the advantage of catching an opponent off guard. Nobody can play around everything, and if your deck sports a few zingers that opponents won't expect, you can use that to your advantage and generate extra wins. I would advise you to keep this in moderation, though. 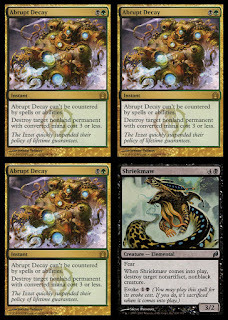 If you go all-in on a fringe hate card or weird alternative to a format staple, you might also find that everybody else's reasons for not playing the card are 100% justified, and then you spent money on a playset of trash. This isn't the outcome you want either, so let me suggest a system that has worked for me over the years. If you stick to this system, you'll still get to be innovative, but you'll avoid investing in too many cards that just don't pan out. Decide on the effect you want. Play three copies of something tried-and-true. Play one copy of a similar effect that has a unique spin. This gives you the opportunity to be creative, but the majority of your investment will still be in cards that you know will pay off in the long run. 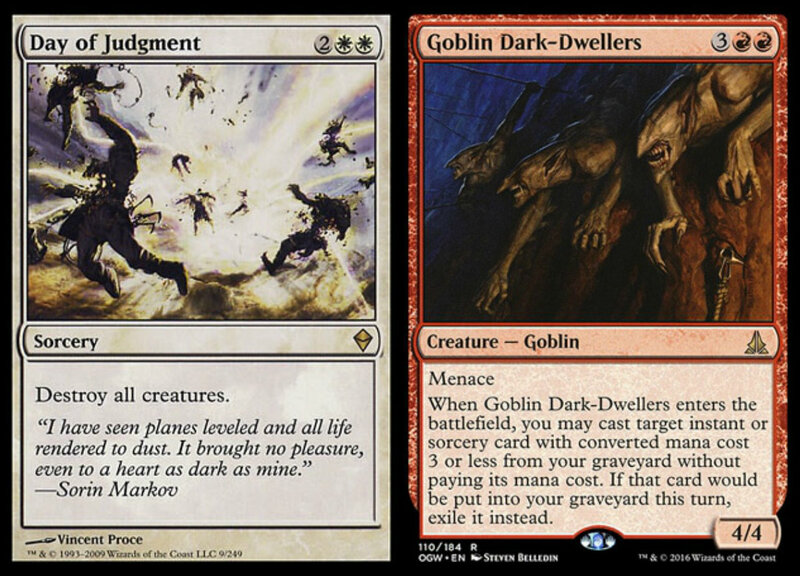 Say, for example, that you plan to play Anger of the Gods in your sideboard once your deck is fully fleshed out, and you’re about to grab a playset of Pyroclasm to hold you over until you can spend a little more. 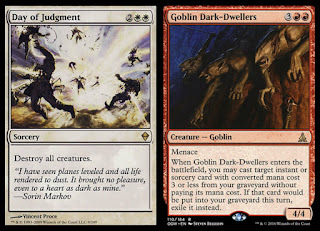 You remember, though, that Blasphemous Act was a thing back in Innistrad standard, and you check the price. It’s not much more expensive than Pyroclasm , but it's significantly cheaper than Anger of the Gods, and it conveniently kills Death’s Shadow , which neither of your other options can do consistently. You might find that the mana cost doesn’t hinder you as much as you thought, and it ends up being better in the current metagame than the card you originally wanted to run. Is it worth running a 3/1 Pyroclasm/Blasphemous Act split? I don’t know… but if you’re building up from a budget list, you’re already running some cards that are considered sub-par. Why not give it a shot? The path from budget to competitive is not easy, especially in a format as expensive as modern, but it can be incredibly rewarding. It can also be a fun challenge. If you love the opportunity to solve puzzles, the "How can I remain competitive without breaking my bank account?" conundrum is one that I've been trying to solve for years. In paper, I've already gone through this whole process several times for various formats, usually with at least half of a competitive decklist on hand already.. On Magic Online, though, I'm excited to be at the actual beginning, with almost nothing and working my way up. I sincerely hope that your journey from budget to competitive is as fun as mine has been, but I'm sure I don't have all the answers. What advice do you have? How do you intend to work your way up? Or if you've already made it to the top, what advice do you have for those still making the climb?